A visit to the USA Olympic house is an experience limited to a small number of fortunate individuals. As the house is not open to the general public, entrance typically requires that you be either a current, or former, US Olympic athlete or an invited sponsor of Team USA. As my athletic prowess has never been up to par for any Olympic sport and my student bank account limits my ability to provided generous donations, I felt extremely honored by the opportunity to visit and experience the inside of USA House. 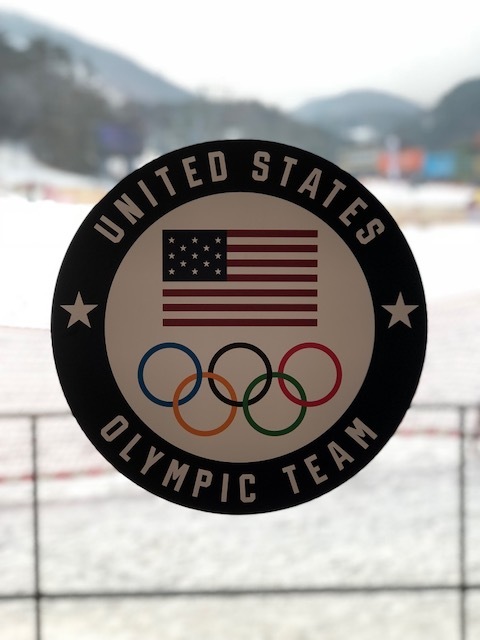 The simple USA decorations perfectly accented the feel of the structure that the USOC has chosen to take over for the Winter Olympics here in Pyeongchang. Sitting on the side of the mountain, the room had the feel of a ski lodge and the red, white and blue provided a perfect accent to the primarily wood interior. During our visit we had the pleasure of meeting with Team USA Chief Marketing Officer Lisa Baird. 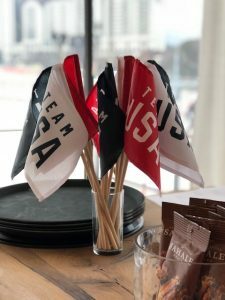 Ms. Baird gave us an in depth glance at the marketing efforts of Team USA and how this experience has evolved through the decades and varying Olympic games. 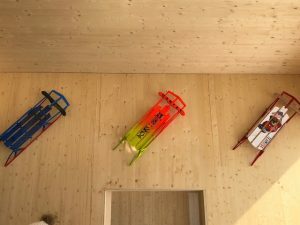 Ms. Baird also pointed out that as a nod to their sponsors they chose to have them each decorate a sled that they have used to decorate the walls of USA House. This activation allows their sponsors a presence within the house, but in a manner that provides a more natural fit for the look and feel of this venue. Before we departed the USA snowboarding team passed by on their way up the mountain and gave us all a wave. Definitely a once in a lifetime moment!